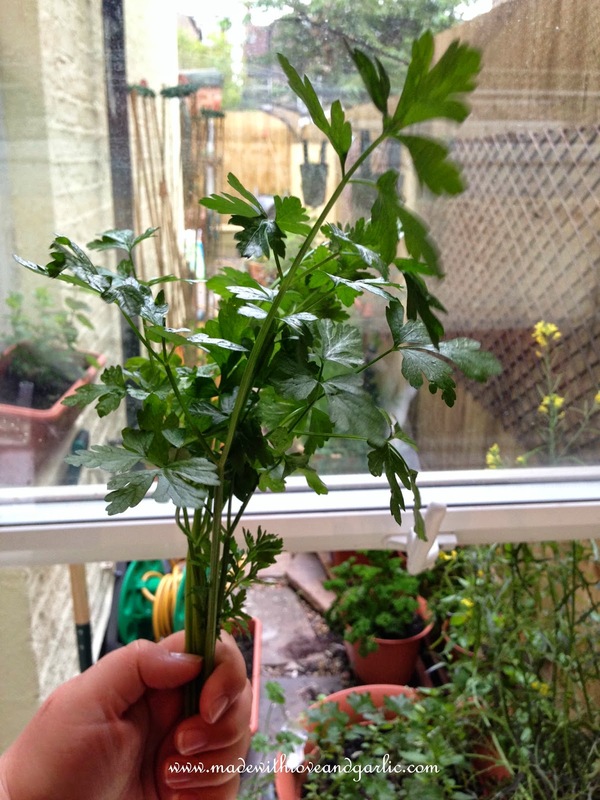 As I mentioned yesterday, I’ve only really be able to harvest herbs from our garden so far. However, I’ve been using them as generously as possible. This is a recipe I like to use for a really fresh, easy and creamy salmon and parsley pasta that’s really quite low in calories. 2. 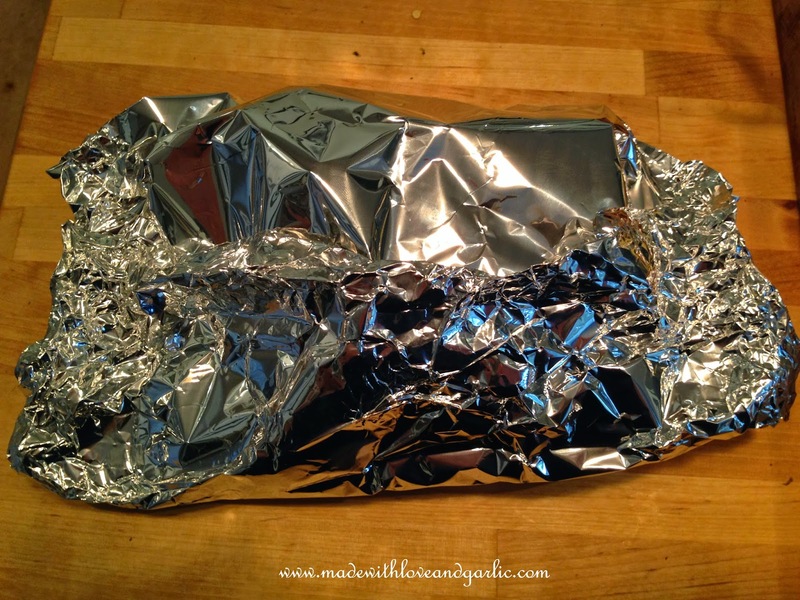 Place the salmon on a sheet of aluminum foil. Wash and quarter the lemons. 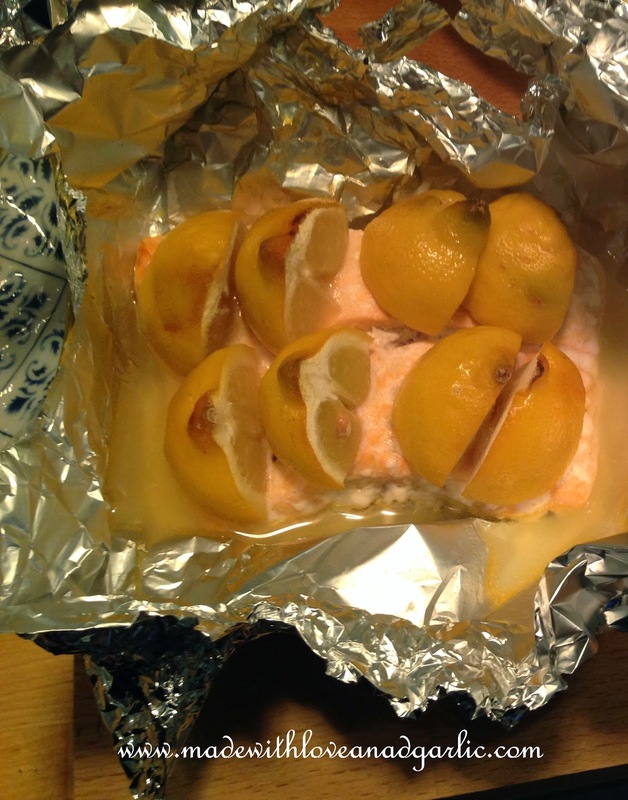 Put two of the lemons on top of the salmon and wrap the parcel. Put into the heated oven for thirty minutes. 3. When the water comes to a rolling boil, throw in your pasta. 4. Ten minutes before the pasta is ready (see packet instructions), gently sweat the garlic and shallots in the oil in a frying pan over a low heat for five minutes until softened and transluscent. Remove from heat and blend with the creme fraiche and parsley to make a sauce. I actually do this whole process in a thermomix (see below) but it’s just as easy in a pan. 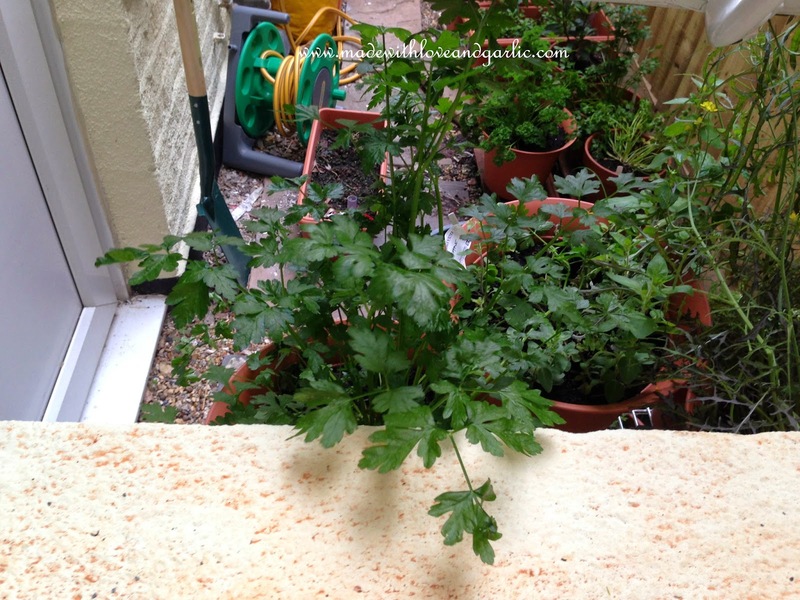 I love being able to reach out of my kitchen window to get the herbs! 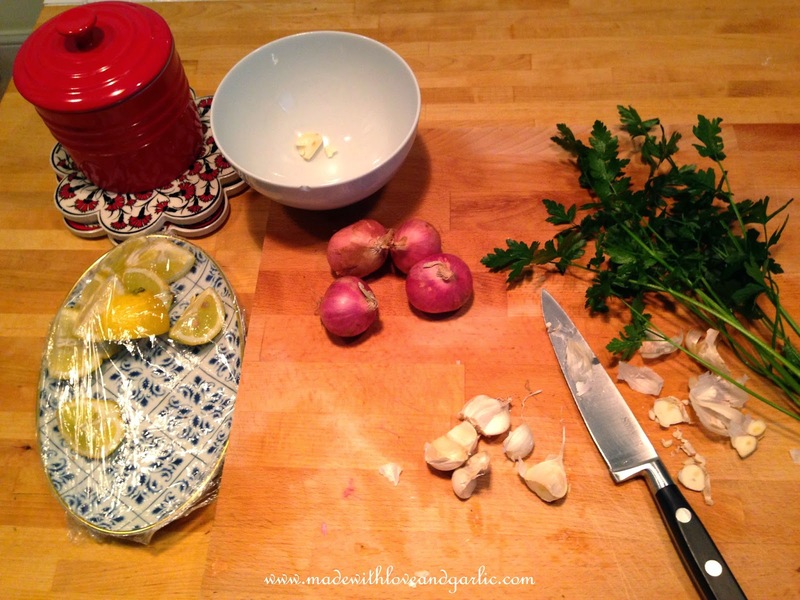 If using a thermomix, chop the shallots on Speed 7 for 5 seconds. Add the garlic and saute for four mins at 90 degrees. Then add the parsley and chop at speed 7 for 5 seconds. Add the creme fraiche and stir for two minutes to mix it all together. 5. Drain the pasta and mix the creamy sauce through thoroughly. 6. 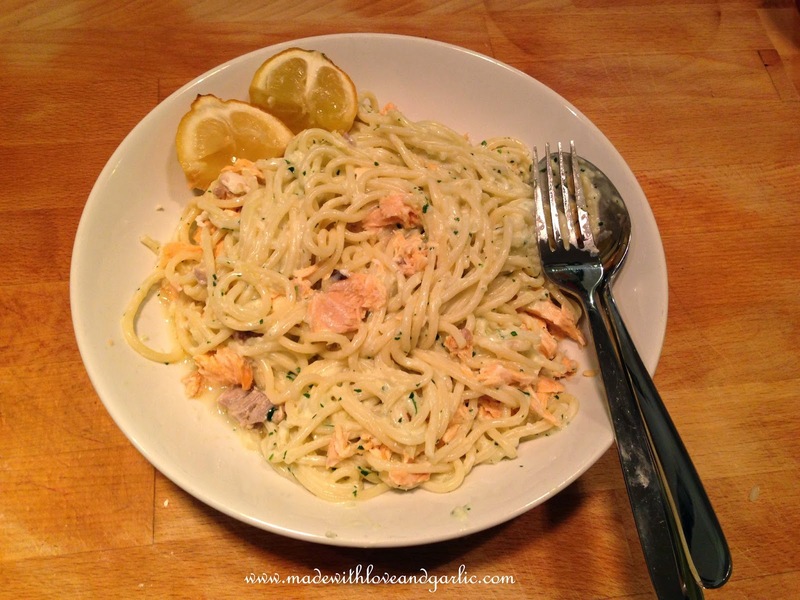 Remove the salmon from the oven and squeeze the heated lemons onto the pasta and sauce and mix in. Gently shred the cooked salmon and mix it into the pasta. Season to taste. 7. 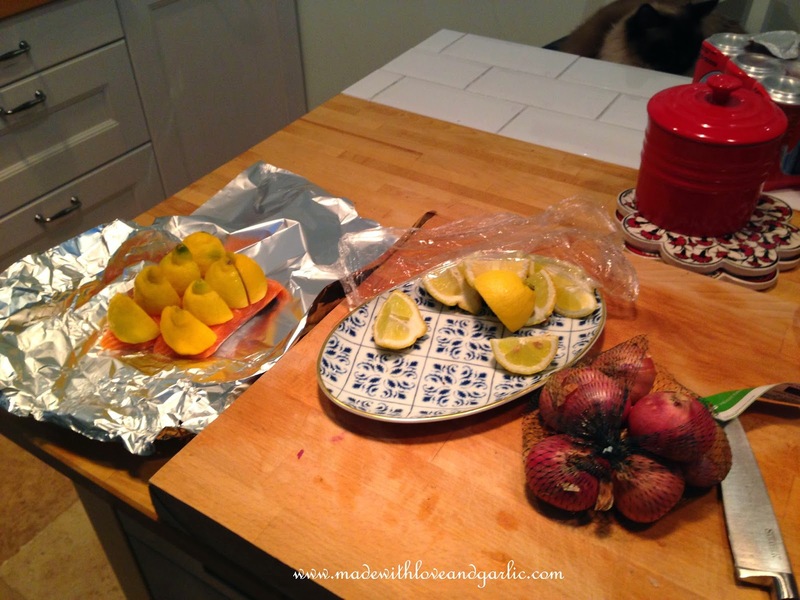 Divide between two warmed bowls and top each one with two quarters of washed lemon.